More than 60 people joined forces to help the Volvo Ocean Race’s environmental project Keep the Oceans Clean! plant mangroves at Virginia Key and pick up rubbish at Key Biscayne. Keep the Oceans Clean resident artist Xandi Kreuzeder, who will use the trash to create a sculpture, said it was one of the most successful clean-ups yet. “It was great to have the added experience of planting mangroves, it is something that is unique to the area and will make a huge difference to the banks that are being eroded because of the insurgence of foreign plant species,’’ he said. With the help of locals at public art workshops Xandi will create an Orca sculpture as an enduring reminder to keep the oceans clean. 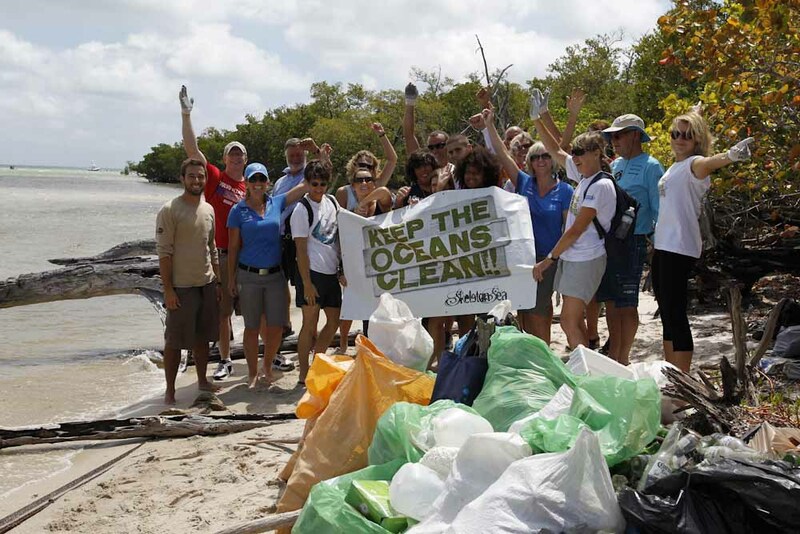 Go to previous: Volvo Ocean Race joined forces for beach clean ups!